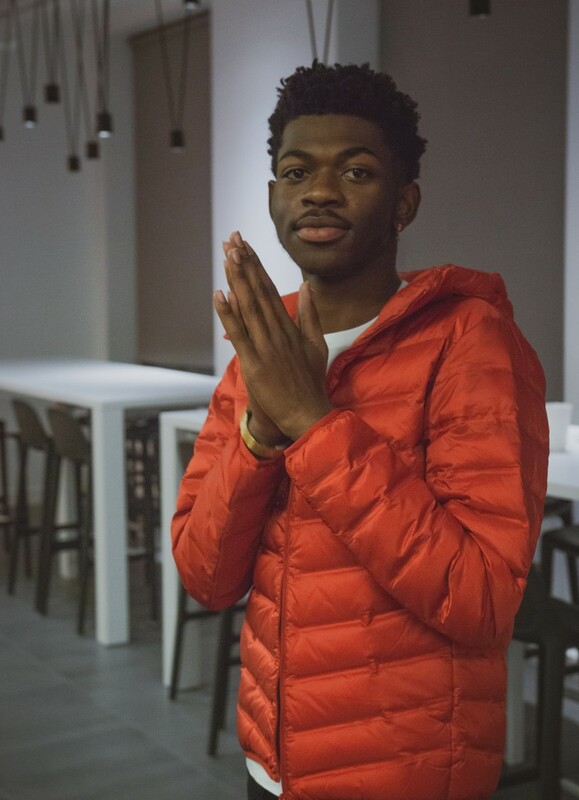 Last Friday evening, as his viral, Billy Ray Cyrus-featuring “Old Town Road” remix ascended to the top of the iTunes and Spotify charts, Lil Nas X had a cough. He hadn’t slept much in the two weeks since his addictive country-trap track had ridden into the mainstream, and he certainly hadn’t slept much the night before, knowing as he did that the internet would snap the moment the song was released. So, the 19-year-old Atlanta rapper was exhausted when I called him in between rehearsals — running on fumes with a nitrous tank attached to his exhaust, kept awake only by memes, praise, and the rigors of a major label life to which he was still adjusting. We spoke for 10 minutes, roughly two minutes of which was taken up by Nas coughing and apologizing for coughing. He was charming and eager and unable to finish his thoughts. He came across like an NBA player struggling between breaths in a post-game interview after a double-OT win in Game 7 of the Finals: thrilled, physically drained, struggling to comprehend the magnitude of what he’d achieved in such a short span of time. Since our conversation, Nas has turned 20 and seen his song rise to the top of the Billboard 100. I can’t imagine he’s slept much more since we spoke. What follows is the full transcript of our chat. Five years ago, bro-country pioneers Florida Georgia Line released "This Is How We Roll," a brazen, almost exploitatively catchy single that strung banjo twangs over cringe-inducing rap bars and stole the darkest corner of my heart before vaulting to the top of Billboard's Hot Country Song charts. You must have had a crazy day. Oh, this is probably one of the craziest days of my life. I guess the last few weeks have been mad. Have you been sleeping enough? Definitely not. I'm gonna get it right though. I probably slept like two or three hours [last night], because I was expecting to get back up to see the reaction, and it's crazy. Did you know that the remix would blow up? I knew this remix was gonna be a moment. I've just been trying to hold it in, like I don't wanna ruin it. [Coughing a lot]. Do you think there's a chance that Billboard will now bring you back onto the country charts? I think there is a possibility. Were you thinking that when you got Billy Ray in? I know you were in a pretty dark place when you wrote the original version of the track. I mean, the final version is still [like that]. Even though it's playful, it still has that meaning behind it. I know that you've been interested in country music for a while, but did you grow up watching cowboy movies or anything? Occasionally, but that loner cowboy — that's just the perfect fit for the entire environment of the song. You hear the instrumental itself, that's what I just felt. And yeah, it worked amazing. Who else were you listening to in the country world? Who else inspired you? Honestly, this wasn't really inspired by any country artists in particular. Maybe the mood of how I perceive country to be. That had its role in it, basically. Did you ever really think about genre growing up? Did it matter to you? [Lots more coughing] Growing up, I always liked so many different sounds from so many different genres — the different aspects they could bring. But it's like, as of late, I don't think I wanna feel boundaries of what this can do to be in this certain genre anymore. It's just whatever's going to feel right while I'm making this song, like, that's what I'm going for now. I know you said you don't want to be known for doing just one thing — just country-trap. 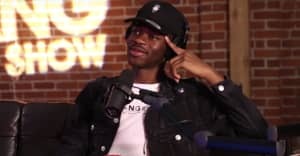 What's the new Lil Nas X stuff sounding like? That's definitely a part of me, and it's always going to be a part of me, that song. I'm probably going to lean in that direction a lot in the future. In my music, I'm never going to force anything to try to recreate a moment or something. What I'm making is always going to be a wildcard situation, at this point. I don't even know. It's not just country-trap, of course — that's not just me. It's so much more. I saw a little clip that you posted to Twitter today, but you said that Billy Ray nearly brought you to tears in the studio. What was he telling you? He was giving me some really uplifting words. You know, how the song came into his life, and how he felt about it, and how he felt about me and what he saw in me. It was just an emotional moment, you know, yeah. Definitely. How are you adjusting to life on a major label? I honestly think I'm adjusting well. It's not a freak-out moment, because this is what we've been preparing for — it's just moving up another level. I want to move up some more levels, so you've just got to get accustomed. So where do you go next from here? How do you build on this? Oh, this is just the beginning. This is the beginning of something that's so huge, I can't even imagine it right now. Yeah, that's what I'm saying. It's something that we can't even see right now, something that we might never be able to see because it's so... it's going to be amazing. It's a promise.